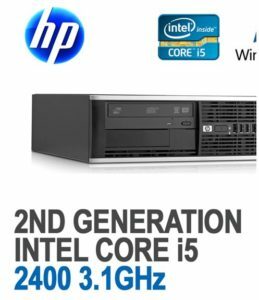 HP Compaq 8200 Elite Series incorporates the newest business PC technology with HP’s designs, and specific programs and services created for business including stable and lengthy lifecycles, and security and remote management solutions. The result is our best performing line of business PCs to date. It’s a off-lease system, professionally cleaned and tested, we provide 180 days warranty.